Famous landmarks on the Antibes Peninsula include Fort Carre, the Chateau Grimaldi and the beautiful Antibes Cathedral. The most popular attractions in Antibes are the Picasso Museum, the Archaeology Museum, the Vieux Port and the Old Town. Local beaches include Salvis Beach, Garoupe Beach, Gravette Beach, Ondes Beach, Ponteil Beach and the popular Juan-les-Pin beach. Many excellent hotels can be found in the Antibes town center and along the Mediterranean coast. Many hotels are situated along the Juan-les-Pin beachfront. 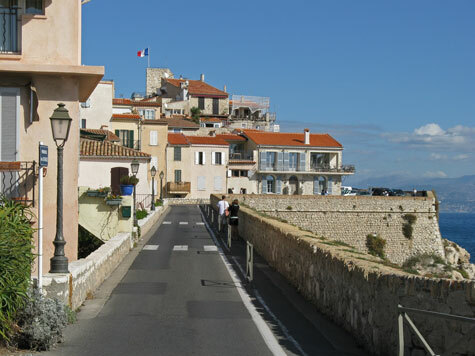 Antibes is situated conveniently close to the Nice Cote d'Azur Airport. The town is located on the main train line that runs along the French Riviera.